Welcome to the third annual STATEside holiday shopping guide! 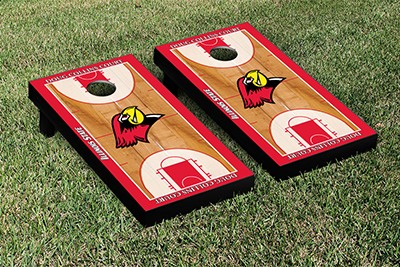 Whether you’re searching for the perfect gift for the sports fan in your life, your kids, your alumni friends, or that special someone, Redbird Nation is decking the halls with the newest Illinois State products of the season. Here’s a look at just a few of our favorites. For even more ideas, check out our previous holiday shopping guides (2012 and 2013) or hop over to our Gear Up board on Pinterest. You can also use our new interactive map to find stores that sell Redbird gear. The Redbird Vintage line launched for the 2013 holiday shopping season and has continued to grow throughout this year. 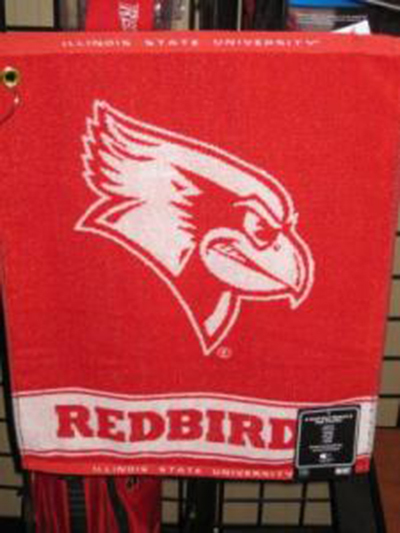 You can find Redbird Vintage merchandise, including hats, T-shirts, sweatshirts, and glassware at the Alamo II and Barnes & Noble-Illinois State University Bookstore. Or you can customize your own apparel with the Thumbs-Up Reggie logo and other popular vintage marks through the alumni store at RedbirdGear.com. WHERE ARE ALL THE REDBIRDS? Follow Reggie Redbird on his journey to find Illinois State University in this new children’s book. 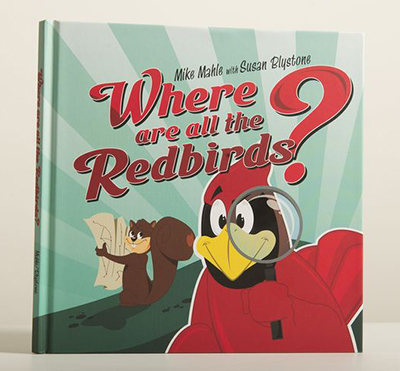 Designed and illustrated by Mike Mahle and written by Susan Blystone, you can find Where are all the Redbirds? now and help Reggie answer his most important question. Learn more about book at ReggieBook.IllinoisState.edu. Don’t forget to accessorize this holiday with all-new bracelets, charms, earrings, and necklaces from Collegiate Bead Inc. 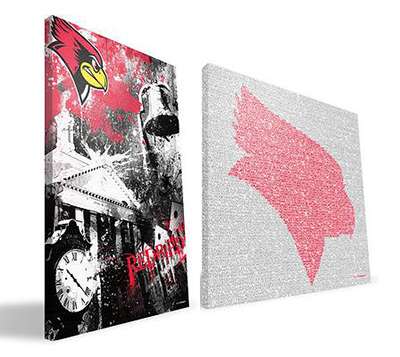 These Illinois State-inspired canvas prints are the perfect addition to your office, living room, or even man cave. Paulson Designs also feature children’s prints for your future Redbirds. It’s never too late or early to prepare for tailgating season. These custom bags sets from Victory Tailgating will make you the envy of the Hancock Stadium parking lot. 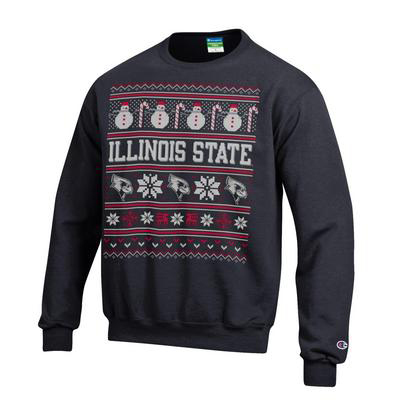 Tis’ the season for eggnog, peanut brittle, fruitcake, and loads of holiday parties on and off campus, so don’t forget to show Redbird pride at your event with the new Illinois State holiday sweaters! You can buy this unique apparel at Barnes & Noble or the Alamo II. 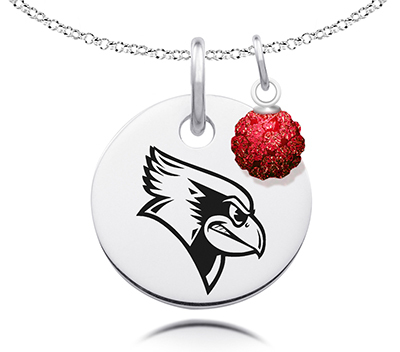 Now you can sport Redbird fashion with this stylish and sporty accessory. 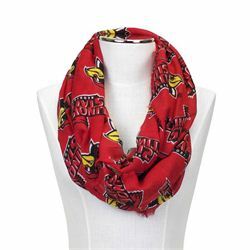 The Illinois State infinity scarf is available at the Alamo II, Weibring Golf Club, and Kohl’s in Eastland Mall. 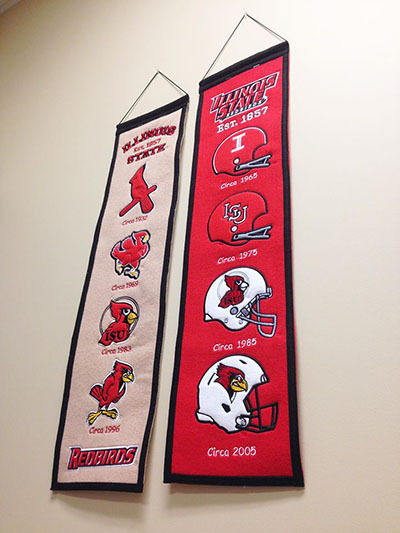 These sharp historical banners chronicle the many logos and mascots of Illinois State University. Developed by Winning Streak, the banner can be found at ProImage in Eastland Mall. Don’t overlook your feet under the tree! 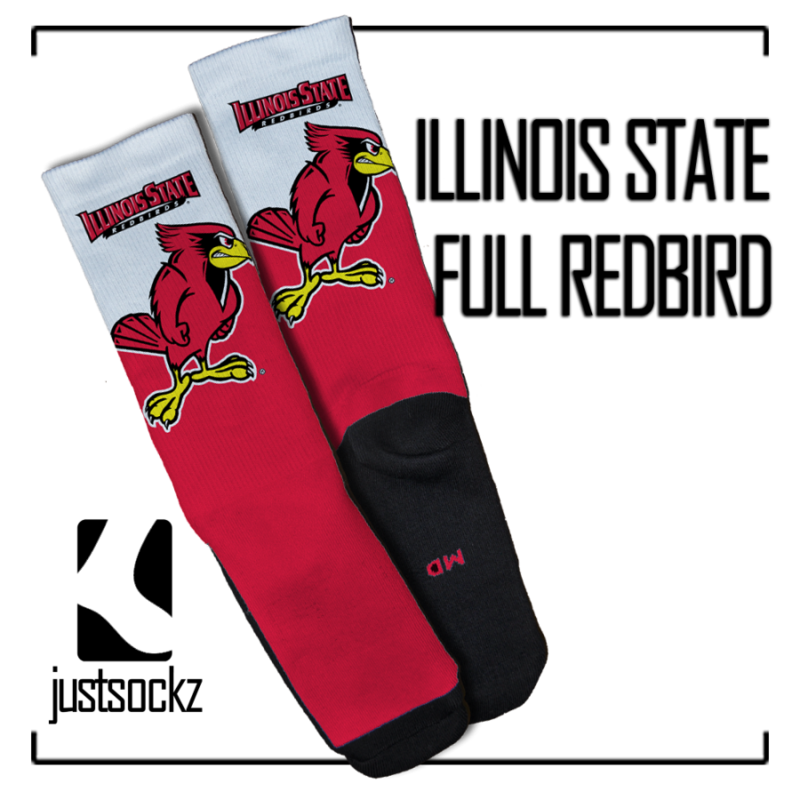 JustSockz.com has several different Illinois State athletic socks designs from which you can choose. The golfer in your life will love to show off these Reggie-clad towels. You can grab yours at Weibring Golf Club. 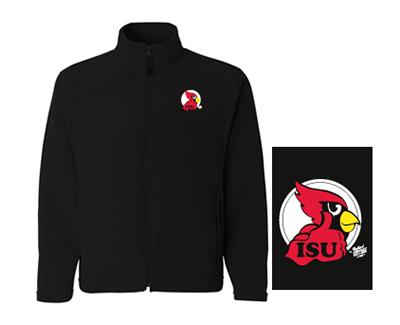 You can always also browse other Redbird gear at any of our online and brick-and-mortar partners.